[post_content] => Pregnancy and infertility is the key theme of the Society's annual conference for 2019 with 'three wise women' exploring homeopathy's role. The three are Karen Allen from America who is the founder of the online Homeopathic Tutorials, Linda Gwillim, a fellow of the Society who runs a successful practice in Wales, and Patricia Hatherly who has worked for more than 40 years as a community educator in Australia. "We chose this theme as not only is there increasing interest in it among practitioners in the UK but it is a topic on which there is a growing body of knowledge worldwide," said Pamela Stevens, the Society's Marketing Manager. "Infertility in particular has become a pressing issue in the West and homeopaths are responding to it." The conference and AGM, will be held over the weekend 22-24 March, 2019 at Lady Margaret Hall, Oxford University. Events also include a workshop run by Tracy Karkut-Law which looks at the business implications of running a homeopathic practice. There will be entertainment following the AGM on Saturday evening. Practitioners who have been members of the Society for more than 20 years could be eligible for half-price tickets. Applications should be made to pamela_stevens@homeopathy-soh.org before February 4, 2019. Early-bird discounts are available until February 10 and there are also discounted tickets available to student members. Pregnancy and infertility is the key theme of the Society’s annual conference for 2019 with ‘three wise women’ exploring homeopathy’s role. The three are Karen Allen from America who is the founder of the online Homeopathic Tutorials, Linda Gwillim, a fellow of the Society who runs a successful practice in Wales, and Patricia Hatherly who has worked for more than 40 years as a community educator in Australia. The conference and AGM, will be held over the weekend 22-24 March, 2019 at Lady Margaret Hall, Oxford University. Practitioners who have been members of the Society for more than 20 years could be eligible for half-price tickets. 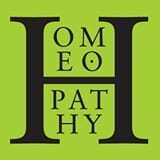 Applications should be made to pamela_stevens@homeopathy-soh.org before February 4, 2019.